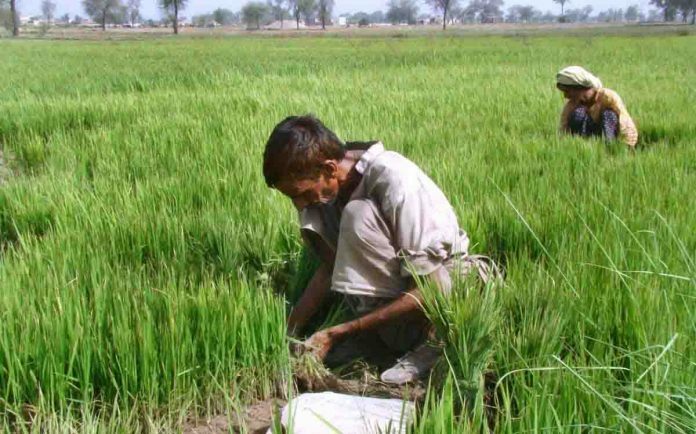 ISLAMABAD: The agriculture sector is going to get a much-needed relief, as the government has decided to give a subsidy of around Rs35 billion on fertiliser in the mini-budget, which would be announced tomorrow (Wednesday). According to sources, a high-level meeting, held at the Ministry of Planning and Development on Tuesday, has approved a subsidy of Rs405 per urea bag and proposed the same for the federal cabinet’s approval ahead of presenting it before the assembly. The total amount of the subsidy or support price on urea would be over Rs20 billion. Sources said that the support price is being introduced for the remaining six months of the financial year so as to benefit three major crops, including maize, cotton and wheat. “Since there are not enough options to facilitate all segments of the agriculture sector, the government found urea to be the only product that has direct linkages with every crop and segment of the sector. In order to give equal benefit to farmers/growers and ultimately traders and exporters, the government has decided to subsidise fertiliser,” said an official. 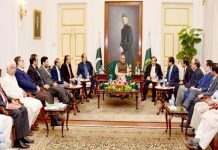 The meeting, according to the official, also approved wavering off 50pc outstanding gas infrastructure development cess (GIDC) imposed on fertiliser which would also ultimately benefit the agriculture sector by around Rs15 billion, taking the total benefit under the supplementary budget to around Rs35 billion. CNG and fertiliser sectors had to pay Rs200 billion to the government on account of GIDC. Out of the total amount, the fertiliser industry had to pay Rs120 billion whereas the CNG stations owed Rs80 billion. It is pertinent to mention that CNG filling stations, fertiliser manufacturers and textile barons have collected around Rs300 billion from the gas consumers but they have not deposited the amount in government coffers and have obtained stay orders from courts. These sectors had demanded the finance ministry to give 50pc waiver from the collection, amounting to Rs150 billion. Pakistan People’s Party (PPP), during its 2008-13 tenure, had imposed GIDC on consumers such as fertilisers, captive power plants and CNG units in a bid to raise funds to lay gas pipelines, including the Iran-Pakistan (IP), Turkmenistan-Afghanistan-Pakistan-India (TAPI) and liquefied natural gas (LNG) pipelines. According to official sources, the final decision regarding the incentives to fertiliser sector would be made by the cabinet before presenting the budget proposals in the National Assembly on Wednesday. The meeting held on Tuesday, which was chaired by Planning Minister Makhdum Khusro Bakhtiar, also decided to constitute committees to propose major reforms in the agriculture sector ahead of next budget in June 2019. During the meeting, according to official sources, special emphasis was laid on the development of the agriculture sector in the next five-year plan. The minister said that both short and long term strategies would be devised in consultation with all stakeholders to harness the potential that this crucial sector offers. The meeting was attended by National Food Security and Research Minister Sahibzada Mehboob Sultan, Kashmir Affairs and Gilgit-Baltistan Minister Ali Amin Gandapur, Prime Minister’s Spokesperson Nadeem Afzal Chan and MNA Ibrahim Khan. The minister said that the agriculture sector was neglected in the last plan and its growth remained dismal during the last five years which is evident from the fact that almost all targets in this area were missed. He underlined that the progress of agriculture sector provides a sound base for economic development and the present government is paying special attention to agricultural development by focusing on improving its key sectors, including livestock and fisheries.